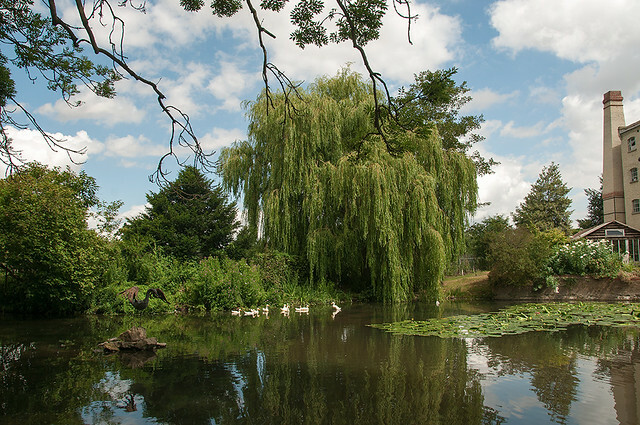 Immerse yourself in nature in this delightful market town tucked away in Essex’s Epping Forest district. As the terminus destination for the London Underground’s Central Line, Epping is the perfect place to go if you’re looking to escape the hustle and bustle of the capital. With the Epping Forest being so close to the town it’s a great opportunity to get out and stretch your legs, nothing beats the Essex Way to experience the magic of the county. For something a little less strenuous there’s the Copped Hall and its beautiful gardens. Although currently under restoration, the Estate provides guided tours of parts of the Georgian landscape mansion and its landscaped parkland. Epping has a lovely selection of eateries and cafes to choose from, one of which is Haywards, located on the edge of the forest and only half a mile from the town. Head chef Jahdre Hayward serves up seasonal, local produce and the finest ingredients to create elegant, mouth-watering dishes. Located in the heart of the Essex countryside, Coggeshall is possibly one the most picturesque destinations in the county. It may not be the largest of towns but its charm and historical importance definitely make it worth a visit. The best way to experience Coggeshall and understand its historical heritage is to enjoy a relaxed, three-mile circular stroll from Grange Barn round to Paycocke’s House – a stunning Tudor merchant’s house providing guided historical tours of the building and an overgrown industrial yard that has been transformed into an arts and crafts garden. 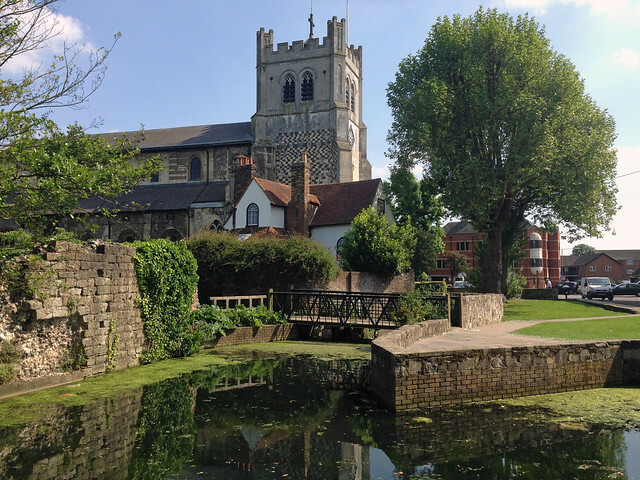 The route travels along the River Blackwater where you can admire the St Nicholas Chapel and the abbey ruins, browse through the town centre and pop in at West Street Vineyard – a great place to purchase fine wine, book a table for dinner or pause for a refreshing afternoon tea. Built after the Second World War to ease the overcrowding in London, Harlow is hub for everything from arts, culture, sport, nature and theatre. Whether you’re planning a day trip or a weekend stay, your enjoyment is a sure thing. For those with an appreciation of art, Harlow is known for its sculpture trail through the town. Dotted around the main squares, numerous public buildings and at several schools; sculptures by artists, both famous and lesser known, can be found. There’s even an app to help plan your route and tell you about the sculptures. For the evening entertainment you can’t visit Harlow and not catch a show. There’s an abundance of theatres and music venues to choose from such as Harlow Playhouse, offering a varied and exciting entertainment to suit all tastes and ages. If you’re feeling peckish The Mayfield Farm Bakery & Tea Room serves delicious homemade bread and cakes from their bakery as well as a highly recommended afternoon tea. There’s also the enormously popular Dusty Miller pub serving the finest real ale and beers and delicious Sunday roasts. Walton is a traditional seaside town on the east coast of Essex that’s uniquely surrounded by the sea from three sides, creating a wonderful vista just begging for a photo. One thing for sure is that you won’t be short of things to do in Walton. The pier is the second longest in the whole of Britain along with the oldest operating amusement park in world, sea fishing is incredibly popular here and for a price, a boat can be chartered to take you and your family out to sea. For those with an interest in wildlife, the Naze is perfect for bird watching and if you time your visit to coincide with migrating times you’ll be in for a real treat. There’s an assortment of restaurants and cafes all serving delicious food and drinks, White’s Pie & Mash Shop does exactly what is says on the tin, and the Naze Café & Takeaway does tapas evenings every Friday and Saturday. However, if you’re in the mood for something more exotic the Pearl of Samui serves fantastic Thai food and beer. 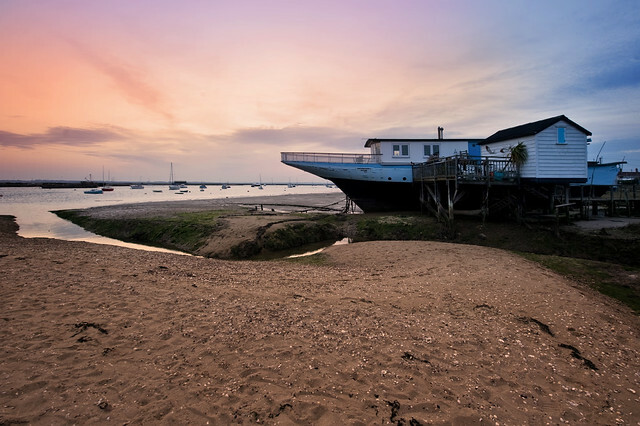 A trip to Mersea Island requires a sense of adventure, the only way to get there is across the Strood – a causeway that floods at high tide – so if you mistime your journey you could be waiting around a while. A big part of life on the island is about simple pleasures, sitting back and watching the world go by, relaxing on the beach and catching crabs from the jetties. There’s also an independent museum giving fantastic insights into the islands history and deep connections with fishing and oystering. For beer lovers a visit to the Mersea Island Brewery is a must as they produce a range of wonderfully distinctive real ales including the award-winning Oyster stout. The other part of island life is food - fresh and tasty seafood is everywhere you look. The Company Shed has garnered a reputation with both locals and tourists alike as the place to for delicious crab, lobster and fish. If you’re feeling adventurous then you must try the oysters from the West Mersea Oyster Bar. If you feel like cooking for yourself then the Mersea Island Fresh Catch serves freshly caught local fish from local fisherman at amazing prices. Despite its portrayal on TV, Brentwood is still surprisingly rural. Its countless country parks are a hotbed for nature-lovers, walkers and families. That’s not to say that it doesn’t also have its glamorous side, with a bustling High Street and vibrant nightlife, this town really does have something for everyone. Reality television propelled Brentwood into the limelight as a buzzing destination for tourists and as a result the ‘TOWIE trail’ was born. Whether you’re a fan of the show or not, it can’t be denied that this shopping route on Crown Street is some serious retail therapy. Moving away from the spotlight visitors can explore the towns green spaces and charming villages like Ingatestone and Blackmore, if you’re feeling really active then you can even hire a bicycle from the Thorndon Country Park. For a light lunch or traditional afternoon tea with a warm atmosphere and friendly service head straight to Mannings Tea Room. In the evenings La Bicicletta is a family run Italian restaurant in the small village of West Horndon. The menu is excellent and head chef and owner Alberto loves to recommend new dishes and flavours for you to taste. This traditional market town is full of history, amazing sights, beautiful buildings and even a few royal connections. 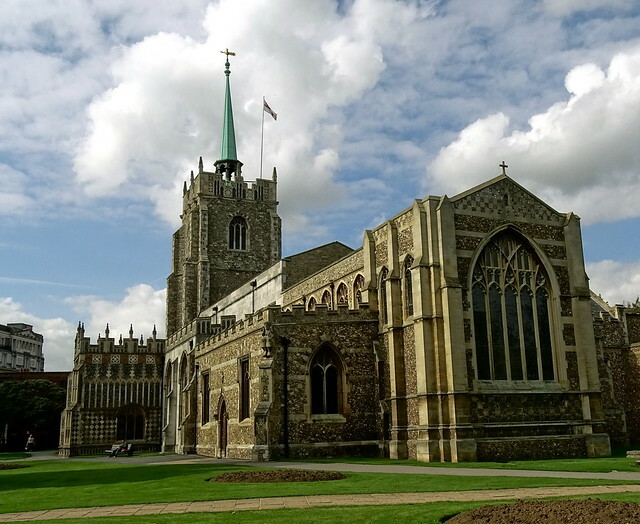 Waltham Abbey is spot on for a family day out or even a weekend stay. The church and abbey grounds in the town centre, the 16th Century timber framed buildings and the ‘Art Nouveau’ Town Hall are all incredibly photogenic and a lazy Sunday stroll taking in the sights is well worth it. Make sure you find some time to stop and grab a coffee at Annie’s Coffee Shop & Closet. If you’re looking to keep the kids entertained or are an avid science enthusiast yourself, then make sure to stop in at the Royal Gunpowder Mills. Built on a natural beauty and heritage site, visitors can spend the day exploring the explosive history of gunpowder and rocket fuels through interactive exhibitions and shows. Rayleigh is the population centre of the Rochford district, an area of the county bursting with heritage and miles of unspoilt, stunning coastline. A visit here is akin to stepping back through time. 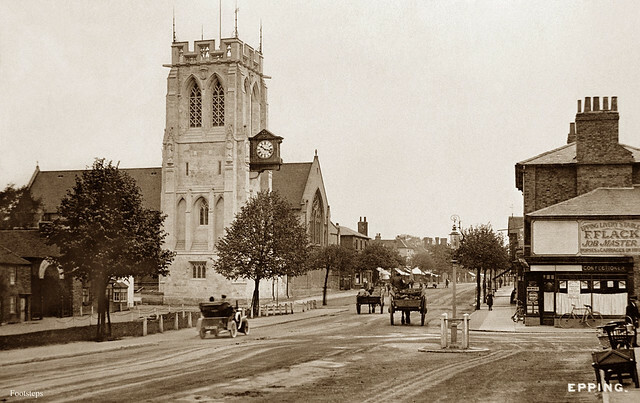 Despite being a busy area Rayleigh’s town centre has preserved much of its traditional personality and qualities, the street market taking place every Wednesday dates back all the way to 1181. 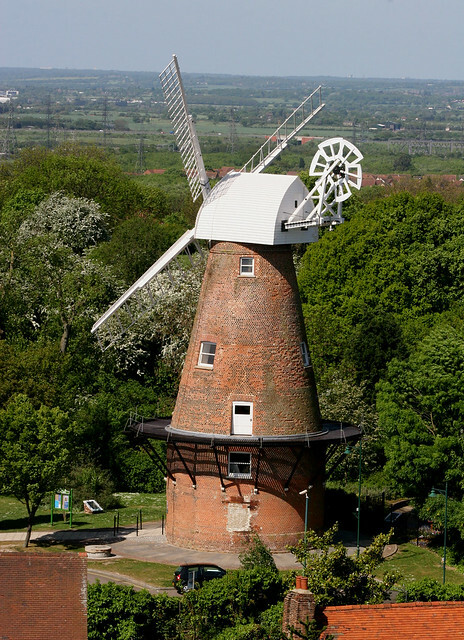 For activities that are a little more relaxing, visiting the Rayleigh Windmill and the Museum is a day well spent. The Windmill was renovated in 2006 and offers guided tours and talks on its history. A visit to Rayleigh wouldn’t be complete without stopping in at Marco’s Tapas Bar. This authentic Spanish Restaurant and Wine Bar serves some of the best traditional tapas in the South-East along with a lively atmosphere and occasional live music. Okay, we know Chelmsford is a city but the area will quite literally leave you spoilt for choice so we had to include it. Incredible retail shopping, historic sights and a host of unique events will keep you busy all weekend. The biggest event in Chelmsford is RiZE Festival - previously known as V Festival - taking place every August, this hit summer music festival welcomes the biggest and brightest talents from the industry. If a festival isn’t really what you’re looking for then why not try a trip to Hylands House, a beautiful grade II listed villa with gorgeous gardens and grounds. Sports fans visiting in the summer will want to catch a game of cricket at the County Ground to watch 2017 County Championship winners Essex. Retail lovers have two amazing shopping centres to choose from but we recommend High Chelmer which offers over 80 shops selling the latest fashions. Chelmsford is a haven for foodies, craft beer, gastro-pubs and fine-dining; there’s something for everyone. Indulge in a light lunch in the countryside at the Pig & Whistle, go authentic Italian at Vita Bella, or tantalise your tastebuds at The Cuckoo gastro-pub. 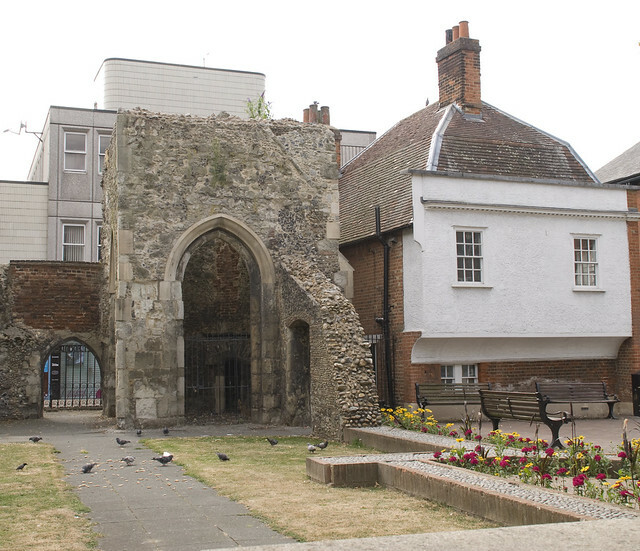 Probably the best known location in the county, Colchester claims to be the oldest town in Britain. To give you an idea of why the place is so popular, we put together a list of 26 reasons why we love Colchester. 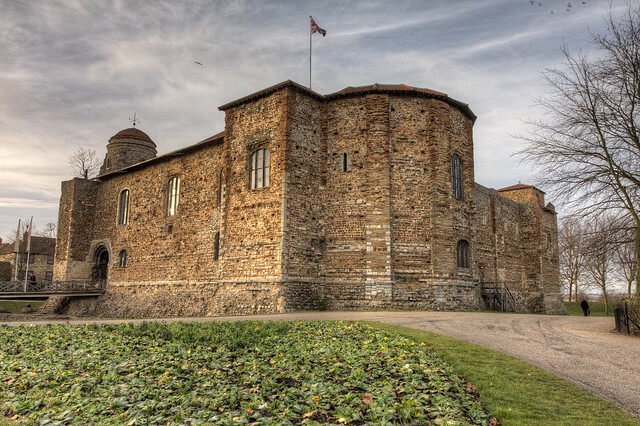 First stop for anybody visiting the town will most likely be Colchester Castle, a fine example of a largely complete Norman castle that was built upon the foundations of a Roman temple established when the town was called Camulodunum. After doing a spot of shopping on the highly-commercialised High Street, head to the Dutch Quarter for contrasting sights of buildings and streets that have mostly changed little in 400 years or so. After a little walk near the River Colne, drop into Firstsite for a bit of culture or watch 90 minutes at Colchester United FC. If you fancy a no-frills bite to eat then drop into one of the many burger places dotted throughout the town or for a more formal meal book into either Grain or The Balkerne Restaurant, a delicious eatery run by students at the Colchester Institute. The panorama of Hythe Quay - dominated by St Mary the Virgin Church and a range of barges and boats bobbing on the River Chelmer - is well-captured by photographers working in the area. Not far from the quay is Promenade Park, another location often visited by photographers and one that is popular with families. 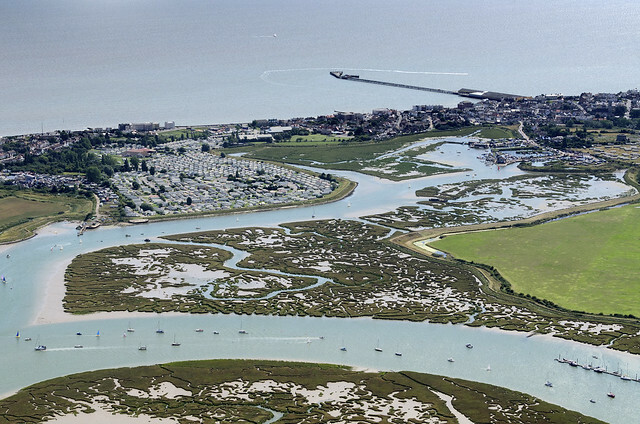 From around this area you’ll have a great vantage point from where to watch the Maldon Mud Race, a frantic scramble across the estuary that takes place every May and is known around the world. For great views along the river and out towards the site of The Battle of Maldon - Northey Island and the causeway - visit the statue of Byrhtnoth. For a true taste of Maldon cook a dish using iconic Maldon Salt - there are a number of recipes using the salt to be found on their website. The Maldon Smokehouse serve some incredibly fresh seafood dishes while Mrs Salisbury’s is a local favourite for afternoon tea. 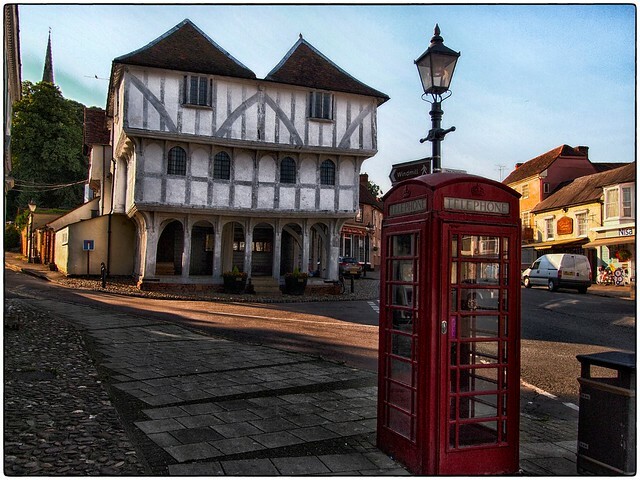 Located between Saffron Walden and Great Dunmow, the area of Thaxted has been populated for over 1000 years. Over that time the town has grown and more and more gorgeous buildings have been added. As you come into the town you’ll notice the striking, white Guildhall immediately. From here you can go left up towards the equally iconic Thaxted Windmill, straight on up Stony Lane - one of Essex’s prettiest streets - to St John the Baptist Church or right to see more beautiful pastel terraced houses. 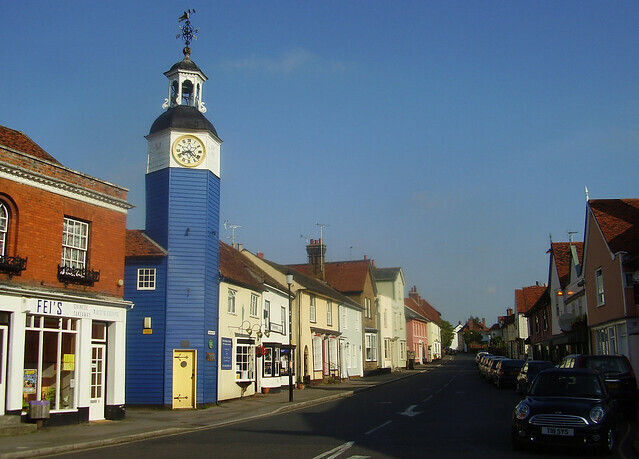 Thaxted Festival takes place over four weekends every year and is a wonderful celebration of Essex’s musical heritage. As one of the smaller towns on this list, eating options aren’t quite as extensive but The Star is a top restaurant and pub. If you want a simple takeaway, Ocean Delight are a consistently good chippy. 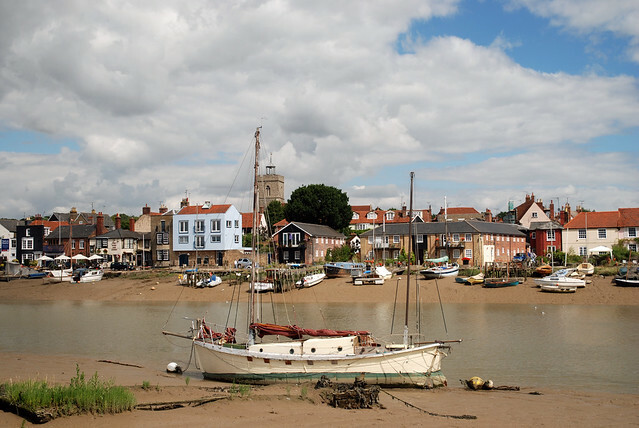 Another beautiful riverside town - this time on the River Colne - Wivenhoe has a small population but still has a thriving community spirit mostly based around its quay. 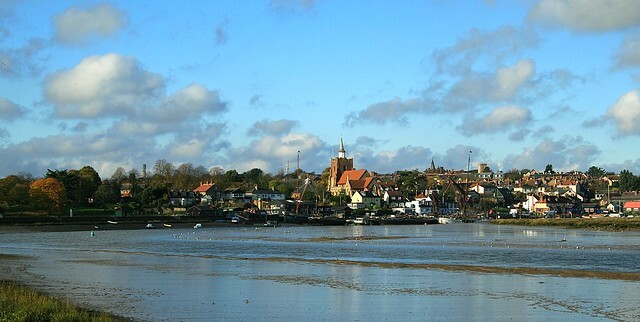 As you might expect, Wivenhoe Regatta - taking place every June - is one of the town’s most popular events where various vessels take to the water for races and demonstrations while there is typically also lots of entertainment on dry land. There are lots of walks going along the Colne and one that should be at the top of your list is the Wivenhoe Trail going from The Black Buoy to The Hythe. After your walk go to the Tudor Tearooms for some classic cafe-style food or, following a slow look around The Sentinel Gallery, get a taste of the Mediterranean at The Olive Branch on Station Road.